The other two books of China Miéville I read before were Un Lun Dun and The City and the City. I guess two was enough to make me a fan and agree to buddy-read this mammoth-sized book last February. 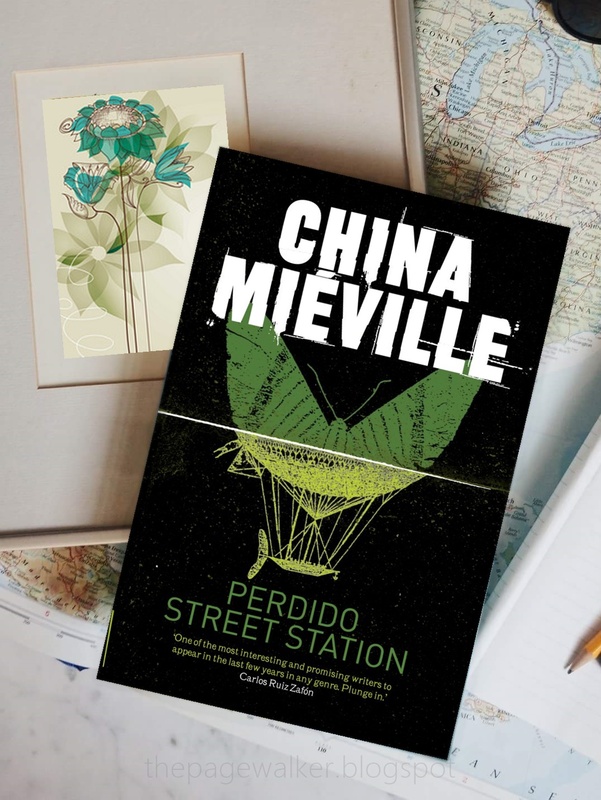 PERDIDO STREET STATION is another testament to Miéville’s genius. His ability to create a different world is cerebral. The squalid city of New Crobuzon has a classical steampunk theme that extends to advanced technology. The invention level and variety of sentient beings are most notable; some are even beyond my imagination. The atmosphere of violence and corruption is unrelenting, making this a perfect avenue for Miéville’s political and social beliefs. The plot starts with Isaac Dan der Grimnebulin, an impoverished scientist waiting for his next discovery and invention to be recognized. He was furtively approached by a garuda named Yagharek, who was punished for a shameful crime that led to the amputation of his wings by his own kind. He asked Isaac to restore to him the power of flight in any means possible in exchange for gold. Isaac agreed and dropped everything to start his research on how avian creatures fly. From here on, the plot gradually became more complicated with the tangent events taking over and the original plot drifting into the background. This is without question a very busy and circuitous plot that sometimes got into tight corners that may seem irrelevant unless you keep going and realize it was significant after all. Every intention, interaction, motivation, every colour, every body, every action and reaction, every piece of physical reality and the thoughts that it engendered, every connection made, every nuanced moment of history and potentiality, every toothache and flagstone, every emotion and birth and banknote, every possible thing ever is woven into that limitless, sprawling web. It is without beginning or end. It is complex to a degree that humbles the mind. It is a work of such beauty that my soul wept. China Miéville’s books have the ability to stay with the reader for quite some time. They present situations and questions that needed further pondering. From the very beginning and through its winding path, I was excited to see Yagharek fly again… but that excitement was not granted. Miéville had the audacity to present his readers a great moral dilemma regarding Yagharek’s past crime. I can no longer recall how many f*** yous Isaac got from me after his decision. I was not pleased with that, and it took me a while to make peace with the ending. See, we may not always agree with the author, but that doesn't reduce them from greatness. PERDIDO STREET STATION is a very complex novel, often shocking and gruesome, but definitely fascinating. Its uniqueness was handled exceptionally well.